Estate & Personal Property > FISCHER AUCTION CO. INC. - Repo, Bankruptcy & Industrial Auction Center > Jazzy Expo Furniture Sale-ONLINE ONLY ! ! ! Jazzy Expo Furniture Sale-ONLINE ONLY ! ! ! Electric Forklift with sharp turning radius and charger unit. Buyer responsible for safely disconnecting charger from electrical cutoff switch, and attaching wire nuts to ends of electrical lines An electrical cutoff switch is included. You've been outbid to e****t! to YOU! This lot includes 1 13ft. 9in. San Diego Reception Desk, 1 Tampa Tall Cabinet, 1 Supreme Credenza 82, and 3 New Orleans Guest Chairs (Rose color). NOTE: NOTE: Showroom item only! Never been used!! Still in brand new condition! Supreme Credenza dimensions: 8ft. 2in. W x 30in. H x 20in. D (see drawing) includes 1 adjustable shelf still in it wrapping. This lot includes 1 Manhattan 8ft. Reception Desk, 1 Palo Alto (great for back support) mid back chair, and 1 Console Cabinet Supreme 90 all in the Maple Natural wood veneer. All drawers includes soft closing technology. NOTE: Showroom item only! Never been used!! Still in brand new condition! This lot includes an exclusive Baltimore Art Deco Conference Table, 8 Black Leather Carolina mid-back chairs, Deluxe Whiteboard Cabinet 4' (opens to 8'), and a small 3' pedestal. All in a beautiful Enriched Walnut. The stripes is a cherry wood in a dark cherry finish. NOTE: This is a showroom item. This has never been used. Still Brand New!! This lot includes a Birmingham 6' Meeting table and 6 Mountain View Black Leather mid-back chairs all in Brown Walnut. NOTE: Showroom items, still brand new and never been used. This lot includes 1 Phoenix 60 Deluxe Meeting Table (6') and 3 Palo Alto Chairs in Enriched Walnut. Phoenix Meeting Table grain is shaped in a sunburst pattern. NOTE: These items for showroom use only and has never been used. Still in Brand New condition. Lot Includes; ?Stockholm Settee Sofa in Black Leather and Enriched Walnut, Venetian Sofa Chair in Black Leather and Enriched Walnut, and Sausalito Coffee Table in Enriched Walnut w/Frosted Glass in the Middle. NOTE: Showroom items only! Never been used. Still in brand new condition!! Lot Includes; Denver Meeting Table, 6 Drawer 3' Credenza, Carolina Guest Chair in Enriched Walnut and a Mountain View Guest Chair in Brown Walnut. NOTE: Showroom items only. Never been used! Still in brand new condition!! Note: Showroom items only! Never been used!! Still brand new!! Clearwater Glass Conference Table 8? (tempered glass 3/4" thick) with 6 Denmark Guest Chairs in Enriched Walnut. Note: Showroom items only. Never been used. Still in brand new condition!! NOTE: This is a showroom item and has never been used. Still in brand new condition!! You've been outbid to E****h! to YOU! NOTE: Showroom use only and has NEVER been used. Still in BRAND NEW condition!! San Francisco Round Meeting Table 47 and a Palo Alto mid back chair in Maple Natural. NOTE:This is a showroom item and has never been used. Still in brand new condition!! NOTE: Showroom items only! Never been used!! Still in brand new condition!! Los Angeles Desk 9? Right with Sacramento high back chair, printer cabinet, CPU cabinet,. All in Enriched Walnut. This lot includes 1 Washington 9' Executive Desk left hand return, a printer cabinet, a cpu cabinet, 1 Mountain View High-Back Chair, and 1 credenza 6'. All in Brown Walnut! This lot includes Chicago 9'6" Classic Desk, CPU cabinet, and 1 Mountain View Mid-back Chair. All in Enriched Walnut. jazzyexpo San Francisco Designer Desk in Enriched Walnut wood veneer with Cold Silver Gray front modesty panel. Showroom model is brand new. A replacement cabinet has been included to swap out for the pedestal with the missing drawer front. Dimensions with return wing are 7'-11" wide x 81" deep x 30" high. Side return may be installed on either right or left side. Includes a keyboard slide out shelf and a computer cabinet under desk. 2 data port panels is included but are not populated with electronic connections. A large matching walnut veneer board is included if you care to make a replacement drawer front for the drawer pedestal. 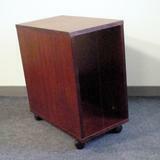 A replacement desk cabinet is included to replace the cabinet with the missing drawer front. This lot includes 1 Dallas 8'6" Executive Desk right side return, 1 Sacramento High Back black leather chair, and 1 supreme credenza 6'7". All in light Maple Natural. This lot includes 1 Miami 9'6" Designer Desk with the return on the left and the built in meeting table on the right and 1 Palo Alto mid-back chair. All in Maple Natural. Chair is a knock of of the famous $2500+ X-chair. 3-D 48 in. L x 40 in. H.
Inside Lettering approx. 13-1/2 feet in length (at current positioning). Letters range from approx. 1-2 feet in height. Outside Lettering approx. 10-1/2 feet in length (at current position).Letter range from approx. 6-8 in. in height. Beautiful Large Giraffe 36" long x 15" wide x 84.5" high. Beautiful African baby giraffe 32' long x 10" wide x 60.5" high. Artistically made with paper-mache. Beautiful African baby elephant 36" long x 12" wide x 39" high. Artistically handmade with paper-mache. You've been outbid to s****x! to YOU! Atlanta 8ft-6" diameter x 30 in high. Enriched Walnut Round Conference Table. Atlanta Round Conference Table 8'6" in Enriched Walnut Only! You've been outbid to I****l! to YOU! Atlanta Conference Table 7' in diameter only. Bay 2.3 and 2.4. (2 Pallets) CV184MNR1. (033). You've been outbid to n****t! to YOU! Bay 2.8. CVC100MNHB (Vancouver) qty. 1. You've been outbid to j****i! to YOU! Conference table only. See drawing for more details! NOTE: Data Ports not included. Also chairs not included!! Conference Table only!! Data Ports and chairs are not included!! Los Angeles Conference table only. All other items including data ports not included!! Maryland Conference Table Only!! Data Ports and Chairs and any other items not included!! Maryland Conference Table only. All other items including the data ports are not included! Maryland Conference table only. All other items including data ports are not included! This lot is for the Maryland 12' Conference Table only! All other items including the data ports are not included! Lot Qty 6 pcs beautifully made round meeting tables with 39 in. diameter in light natural maple wood veneer with silver gray steel base. includes 4 mounting screws. Packed in boxes - requires assembly. Qty 4 pcs of 47" diameter Capetown Round Meeting Tables made with cherry wood veneer in cherry gold color, and silver gray steel bases. Packed in boxes - requires assembly. 1 Capetown Meeting Tables with Black Lacquer 47" in diameter Top and silver gray base. Table only, chairs not included. Packed in boxes - requires assembly. This lot is for the Phoenix 6' Meeting table in Light Maple Natural. Photos are shown in a different color. See wood sample picture for exact color. Picture is the same size, but a different color. Meeting table only! All other items in photos are not included. This lot is for the Denver Meeting Table in Enriched Walnut only. All other items including the Data Ports are not included in this lot. This lot is for 3 Phoenix Meeting Tables in Enriched Walnut only. No other items in the pictures are included!! See wood sample for the color. This lot is for the Seattle Meeting Table only!! All other items in stock photos are not included!! This lot is for the Phoenix Deluxe Meeting Table in Brown walnut only. All other items in stock photos are not included!! 1 beautifully made round meeting tables with 35 in. diameter in light natural maple wood veneer with silver gray steel base. includes 4 mounting screws. Packed in boxes - requires assembly. This lot is for 2 Phoenix 3'8" Meeting Table in Enriched Walnut. All other items in the stock photos are not included. Meeting table is currently in the original box knocked down. This lot is for 3 Phoenix 4' Meeting Tables in Enriched Walnut. This lot is for the meeting table only. All other items in stock pictures are not included. Meeting table is still in boxes and must be assembled. This lot is for the Denver 6' Meeting Table in Brown Walnut only. All other items in stock photos are not included. This meeting table is currently knocked down in boxes. Assembly is required. This lot is for the Birmingham 6' Meeting Table in Enriched Walnut. All other items in stock photos are not included. This meeting table is currently knocked down in boxes. Assembly is required. This lot is for 2 Phoenix 4' 7" Meeting Tables in Enriched Walnut. This lot is for the meeting table only. All other items in stock pictures are not included. This meeting table is currently knocked down in boxes. Assembly is required. This lot is for 1 Phoenix 4' Meeting Tables in Enriched Walnut. This lot is for the meeting table only. All other items in stock pictures are not included. This meeting table is currently knocked down in boxes. Assembly is required. This Phoenix Meeting Table measures 3'-8" x 3'-8" x 30" high and seats 3 people. Table only, chairs are not included. Sold in boxes that require assembly. This item is for the Phoenix Deluxe Meeting table in Brown Walnut only. All other items in the stock photos are not included. See drawing for dimensions. Desk only, does not included: chair, rear cabinet, data ports, wall art. Manhattan Reception Desk 8? in Dark Cherry wood veneer. Has 2 standard drawers, 2 hanging file drawers, and slide out keyboard shelf. Data Port not included. New in Boxes on pallet. San Diego Reception Desk 13?9? in Dark Cherry wood veneer - new in boxes on 2 pallets. Has 3 workstations each with a slide out keyboard shelf, standard drawer and hanging file drawer, grommet hole for wires. Desk only, does not included: chair, rear cabinet, data ports, wall art. San Diego Reception Desk extension in Walnut wood veneer in dark cherry color. Has 3 work stations. Each of the 3 workstations have a slide-out keyboard shelf, standard drawer and hanging file drawer, and a grommet hole for electrical wire pass through .Desk only, does not included: chair, rear cabinet, data ports, wall art. Georgia Reception Desk Extension tall (must have a deluxe cabinet to attach to) in Walnut Brown wood veneer. Includes center curved section 4'-7" radius, 3' side high straight section, 3' side low straight section, Deluxe drawer Cabinet, Deluxe Lateral File Cabinet. All sections are brand new in boxes on multiple pallets. requires assembly, no data ports included. San Diego Reception Desk 10?9? in light Maple Natural wood veneer. has 2 workstations each with slide out keyboard shelf, standard drawer, hanging file folder drawer, wire grommet hole.Desk only, does not included: chair, rear cabinet, data ports, wall art. Bays 10.3 and 10.4. (2 Pallets) RSDE109M-T13. Manhattan Reception Desk 6? Light Maple Natural 6' wide x 3' deep. Has 2 standard drawers and 1 hanging file folder drawer. Desk only, does not included: chair, rear cabinet, data ports, wall art. Manhattan Reception Desk 6? in light Maple natural wood veneer. Has 2 standard drawers and 1 hanging file folder drawer. Desk only, does not included: chair, rear cabinet, data ports, wall art. San Diego Reception Desk 10?9? 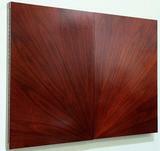 x 5'-4" deep x 44" high in Dark Cherry wood veneer. Has 2 workstations each with a standard drawer, hanging file folder drawer, and grommet wire hole. Desk only, does not included: chair, rear cabinet, data ports, wall art. Bays 10.7 and 10.8 (2 Pallets) RSDE109C. San Diego Reception Desk 10?9? in light Maple Natural wood veneer. Has 2 work stations each with a standard drawer, hanging file folder drawer, and wire grommet hole. Desk only, does not included: chair, rear cabinet, data ports, wall art. Bays 11.3 and 11.4. (2 Pallets) RSDE109M-T13. Manhattan Reception Desk 11?6? in Enriched Walnut wood veneer. Desk only, does not included: chair, rear cabinet, data ports, wall art. San Diego Reception Desk 15? in Enriched Walnut wood veneer. Desk only, does not included: chair, rear cabinet, data ports, wall art. Bays 11.7 and 11.8 (2 Pallets) RSD150WHZ-0. Dallas Desk Supreme 8?6? right hand return in Maple Natural wood veneer. Desk only, does not included: chair, rear cabinet, data ports, wall art. Miami Desk 9?6? right side return in Maple Natural wood veneer. Desk only, does not included: chair, rear cabinet, data ports, wall art. Los Angeles Executive Desk 10? Left in Enriched Walnut wood veneer. Desk only, does not included: chair, rear cabinet, data ports, wall art. Los Angeles Executive Desk 10? Right in Enriched Walnut wood veneer. Desk only, does not included: chair, rear cabinet, data ports, wall art. Los Angeles Executive Desk 9? Left in enriched walnut wood veneer. Desk only, does not included: chair, rear cabinet, data ports, wall art. Los Angeles Executive Desk 8? Left in enriched walnut wood veneer. Desk only, does not included: chair, rear cabinet, data ports, wall art. Los Angeles Executive Desk 7? Left in Enriched Walnut wood veneer. Desk only, does not included: chair, rear cabinet, data ports, wall art. Los Angeles Executive Desk 9? Right in Enriched Walnut wood veneer. Desk only, does not included: chair, rear cabinet, data ports, wall art. Los Angeles Executive Desk 8? Right in Enriched Walnut wood Desk only, does not included: chair, rear cabinet, data ports, wall art. New York Deluxe Executive Desk 8?6? L shaped in Brown Walnut wood veneer. Desk only - does not included: chair, rear ccabinet, data ports, wall art. New York Deluxe Executive Desk 8?6? L shaped in Enriched Walnut wood veneer. Desk only, does not included: chair, rear cabinet, data ports, wall art. New York Deluxe Executive Desk 7?6? L shaped in Enriched Walnut wood veneer. Desk only, does not included: chair, rear cabinet, data ports, wall art. You've been outbid to N****5! to YOU! San Francisco Desk with Return new packed in boxes on a pallet. Includes a 3 drawer cabinet, computer cabinet and side return desktop. Does not include assembly. Space for 2 data ports but none included. This is an additional side return extension for the San Francisco desk but is incomplete. Includes a return desktop and computer cabinet only (computer not included). This is a 6.5'x6.5' symmetrical executive desk that can be used as a right or left sided return desk. Made with Walnut wood veneer in Enriched walnut color. Has space for data port but no data port included.This desk also includes a printer dolly and a computer dolly. Brand new packed in factory boxes with hardware and assembly instructions. does not include assembly. Has 2 - built-in 3 drawer cabinets including a hanging file folder cabinet in each of the 2 cabinets. This lot is for the Chicago Classic Desk only. All other items in the stock pictures including the data ports are not included. Chicago Executive Desk 9? Right in Enriched Walnut wood veneer. The following items are not included: chair, rear credenza, data ports, wall art. There is no desk return section on the Classic desks. Chicago Executive Deluxe Desk 7? Left in Brown walnut wood veneer. The following items are not included: chair, rear credenza, data ports, wall art. There is no desk return section on the Classic desks. Chicago Executive Desk 8? Left in Enriched Walnut wood veneer. The following items are not included: chair, rear credenza, data ports, wall art. There is no desk return section on the Classic desks. Chicago Executive Deluxe Desk 7? Right in Enriched Walnut wood veneer. Chicago Executive desk 8? Right in Enriched Walnut wood veneer. The following items are not included: chair, rear credenza, data ports, wall art. Chicago Executive Deluxe Desk 7? Left in Enriched Walnut wood veneer. The following items are not included: chair, rear credenza, data ports, wall art. There is no desk return section on the Classic desks. Bay 20.8. DCD7LWS/8. (Leg and Top Inserts). Washington Classic Deluxe Desk 9? in Enriched Walnut wood vener. The following items are not included: chair, rear credenza, data ports, wall art. There is no desk return section. Washington Classic Deluxe Desk 7? in Brown Walnut wood veener. The following items are not included: chair, rear credenza, data ports, wall art. The following items are not included: rear credenza, chair, data ports, wall art. Bay 23.1 DWD9LWB-S16. (Wood Wire Covers/Show Room. Missing CPU). Washington Executive Deluxe Desk 8? Right in Brown Walnut wood veneer. The following items are not included: rear credenza, chair, data ports, wall art. Washington Executive Deluxe Desk 9? Right in Enriched Walnut. The following items are not included: chair, rear credenza, wall art, data ports. Washington Executive Deluxe Desk 9? Left in Enriched Walnut. The following are Not included with desk: rear credenza, chair, wall art, data ports. Washington Executive Deluxe Desk 8? Right in Enriched Walnut with right side return. The following items are not included: data ports, rear credenza, wall art. Bay 24.7. DWD8RWS/8 (Leg and Table Inserts). Bay 25.2. BPT60CD-O. (Missing Coat Rack). Console Cabinet supreme 9? wide in light Maple Natural wood veneer. has 6 upper standard drawers and 3 lower cupboards each with double doors and an adjustable shelf. Supreme Tall Cabinet 3? 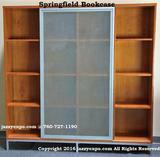 wide x 6'-6" high in Enriched Walnut wood veneer with beveled glass door hutch and adjustable shelf. Has 2 lateral hanging file folder drawers below. This lot includes only 1 Console Cabinet, 1 Glass Hutch, and 1 work top table only. This items are currently knocked down in its original boxes. Assembly is required. NOTE: Work Top Table must be connected to another cabinet. It is unstable by itself. This lot includes 5 glass hutches in Enriched Walnut only. These hutches are knock down in the original boxes. Assembly is required. This lot includes 2 drawer cabinets, 1 glass hutch, 1 hutch, and 2 side cabinets in Brown Walnut only. You can make two 5' tall cabinets or 1 long 10' tall cabinet. See both drawing of each 5'. Main picture is of console cabinets on the bottom will be drawer cabinets instead. Also you can use legal or letter filing in the drawer cabinets. This lot includes 1 console and 1 lateral cabinet, 2 hutches, and 2 side cabinets in Brown Walnut only. You can make two 5' tall cabinets or 1 long 10' tall cabinet. See both drawing of each 5'. Main picture is of 2 console cabinets on the bottom will be 1 lateral filing cabinet and 1 console cabinet instead. Main picture also has 1 glass hutch and will be replaced with 1 hutch. Also you can use legal or letter filing in the filing cabinet. Jazzyexpo Deluxe Executive Whiteboard Cabinet 4? closed 8? open with whiteboards behind the doors in maple natural. Has built in ledge for markers. Holds magnetic displays and eraser. Jazzyexpo Deluxe Executive Whiteboard Cabinet 5? closed 10? open with whiteboards behind the doors in Enriched Walnut wood veneer with sunburstt wood grain pattern. Has built in ledge for markers. Holds display magnets and magnetic erasers. Waldorf Coffee Table in Dark Cherry wood veneer coffee table. Coffee Table only shown in center of photo. Sofas, end tables, and cabinets not included. Packed in boxes - requires assembly. Waldorf Coffee Table only in Dark Cherry Wood veneer shown in center of photo. The sofas, end tables and cabinets are not included.